Color Continuum — no. 02 Polychromatic, a new book with five modern polychromatic (rainbows!!) 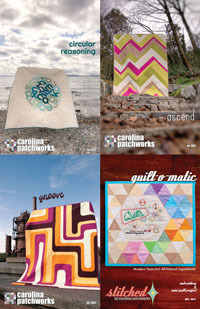 quilt projects is here! 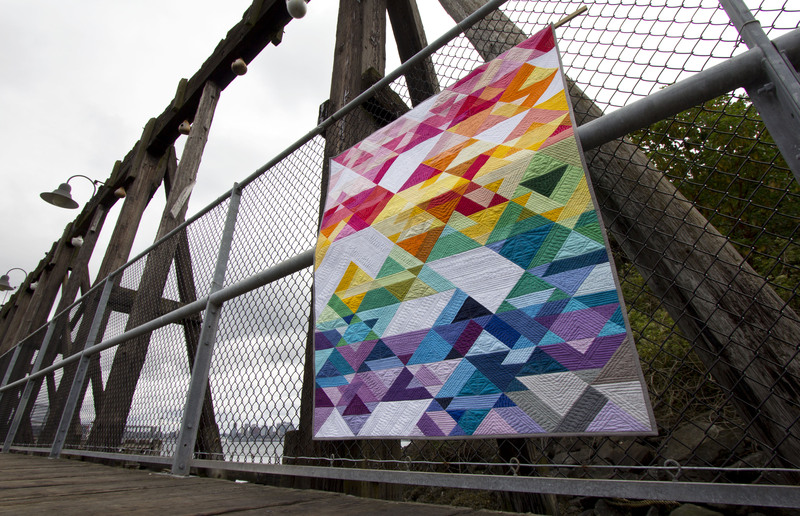 All of the projects are precut friendly and would work wonderfully with scraps too. 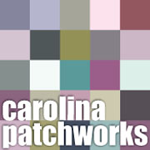 Available for pre-orders in the Carolina Patchworks store with signed copies scheduled to begin shipping August 29th. Also available on Amazon . 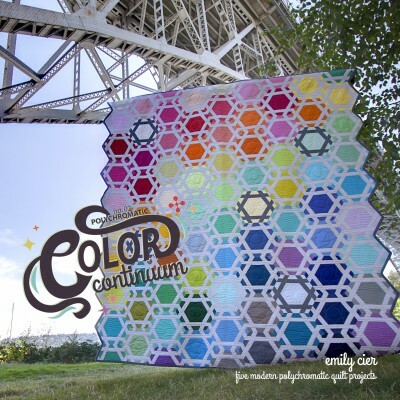 Color Continuum — no. 02 Polychromatic will be available on Amazon and all the international Amazon sites but not for another week or so. I will update with a link here once it works its way through the system. In no 2. polychromatic, pure white light is split into its intrinsic components: the rainbow. This most elemental of natural phenomena provides, with a basis deep in optics, provides the most fundamental organization of the color spectrum. Yet at the same time its ends are found deep in our collective imagination, evoking a powerful sense of wonder and beauty. It’s no surprise, then, to find that it can be applied in innumerable ways to give the same fantastic charm, simultaneously peaceful and lively, to our creations. 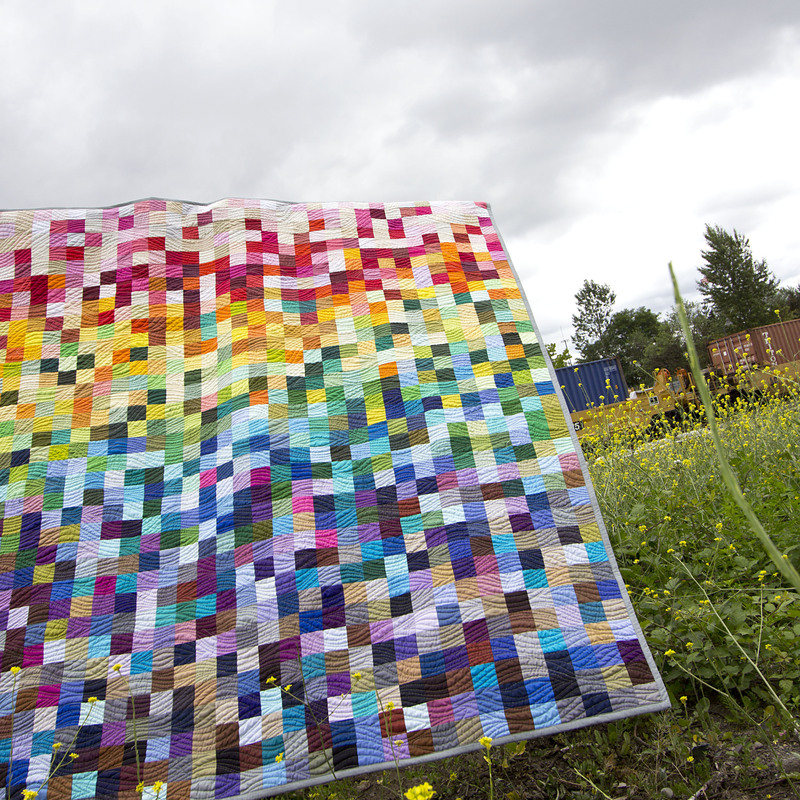 This volume explores this idea, imbuing a set of five quilts with every portion of the spectrum short of a pot of gold. Inspired by our Technicolor Yawn Bedroom. 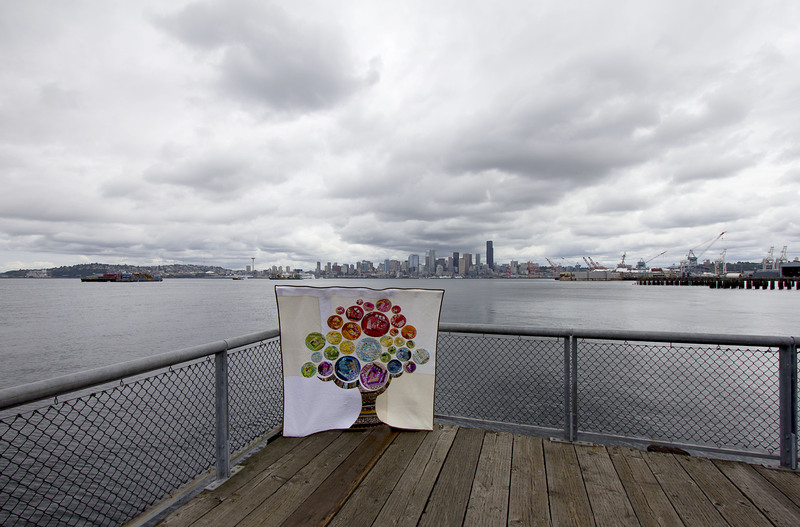 A glimmer of color along a dreary Seattle skyline. 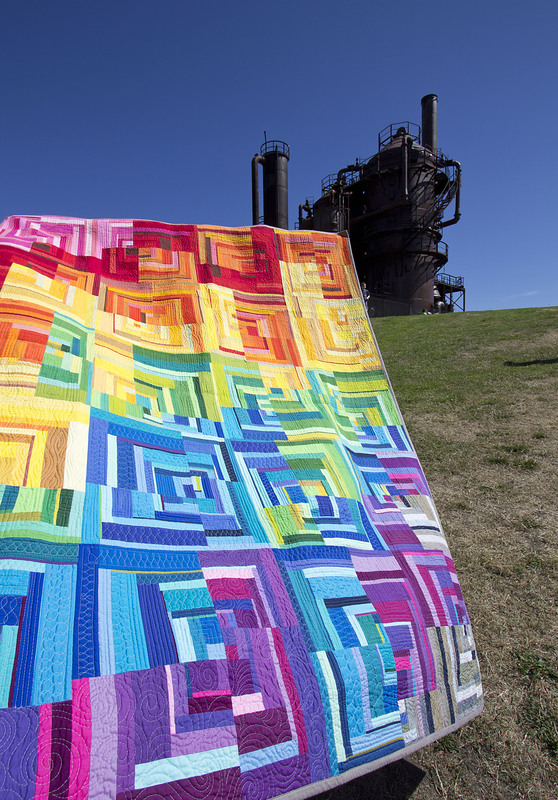 Angela Walters did the quilting on four of quilts. Amazing work once again! One more teaser… notice that it was no. 01 and now no. 02? Vague, random Instagram pictures already started because there might just be a no. 03. But for now, we’ll enjoy another wonderful release that is totally me. More pictures over the next week over on Instagram! 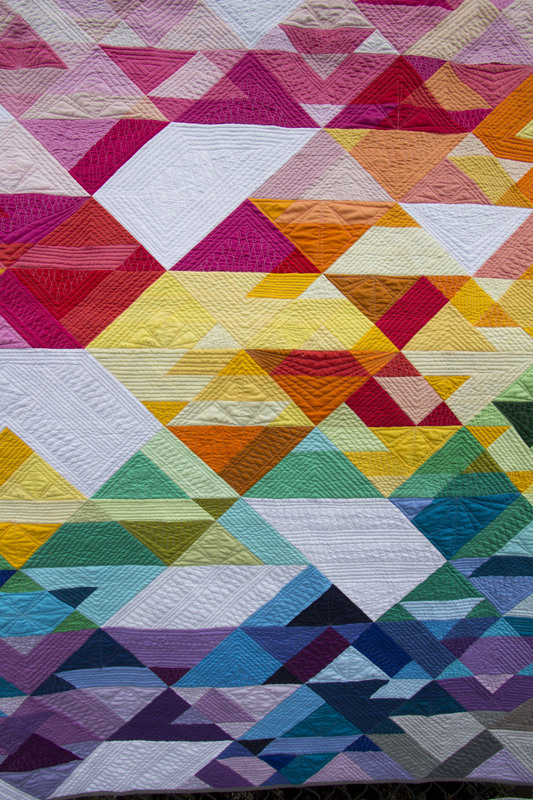 The color in these quilts is amazing. You’ve done a great job of tapping into the clear, modern colors in a fabulously vibrant way. These are gorgeous! Love your colors!! 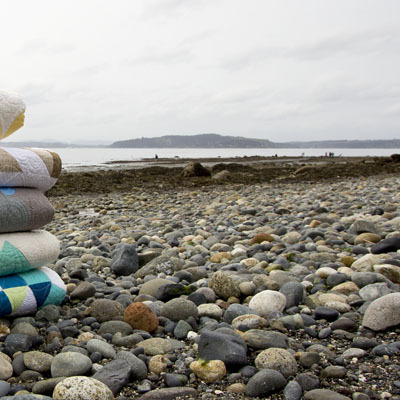 We need those bright colors now with all the rain ! It generally doesn’t come all at once. It broke my patio cover …. 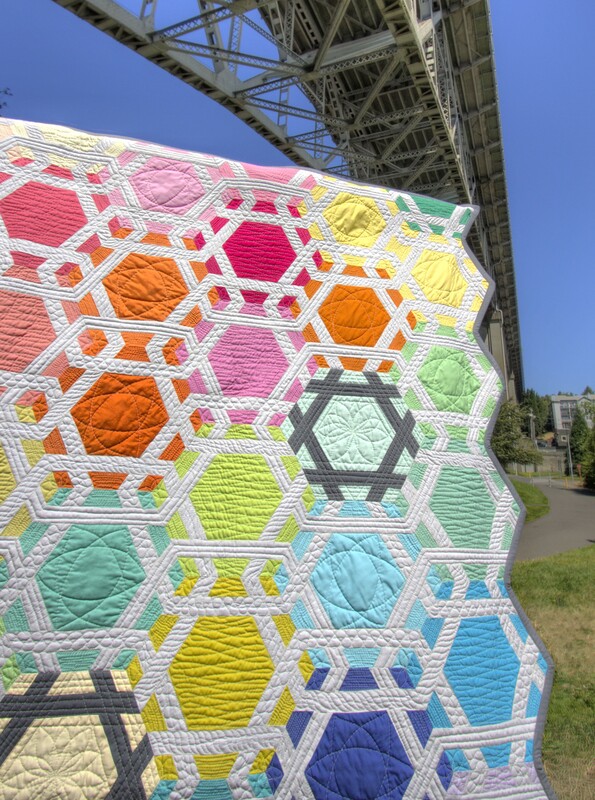 Thanks for the great happy quilt ideas!